Black Parent Connect was founded in 2008 by concerned parents for concerned parents. The unique niche that our site serves has been recognized during its first two (2) years of implementation. There is a NEED for positive images, products and institutions in today's global society for children of colors. 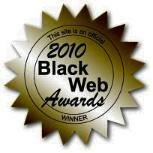 Black Parent Connect seeks to recruit as members reputable companies that produce the most positive and inspiring high quality products and services that specifically enhance the self esteem and cultural appreciation of children of color. If your company meets this NEED, please apply for consideration below! Marketing Ad and Flyers Provided to EACH BUSINESS OWNER.